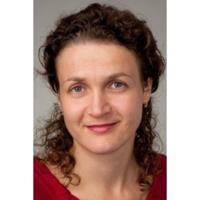 Dagmar Tobits practices as a Family Doctor in Wilmington, VT.
Services Dagmar Tobits offers family practice services in Wilmington, VT. A family doctor is typically a general practitioner who treats most family members from children to adults. Dagmar Tobits in Wilmington, VT may treat physical symptoms, prescribe medications, diagnose conditions and much more. Please call Dagmar Tobits, MD at (802) 464-5311 to schedule an appointment in Wilmington, VT or to get more information.